Built in 2013, Axioma is a brand new yacht that stands out on the charter market for her countless features and amenities. She has a beautiful exterior design and an elegant beach house-style interior by the renowned designer Alberto Pinto. The yacht stands out for her stunning swimming pool on the main deck, double-level main salon, cinema, large jacuzzi and fully equipped gym accompanied by massage and steam rooms. 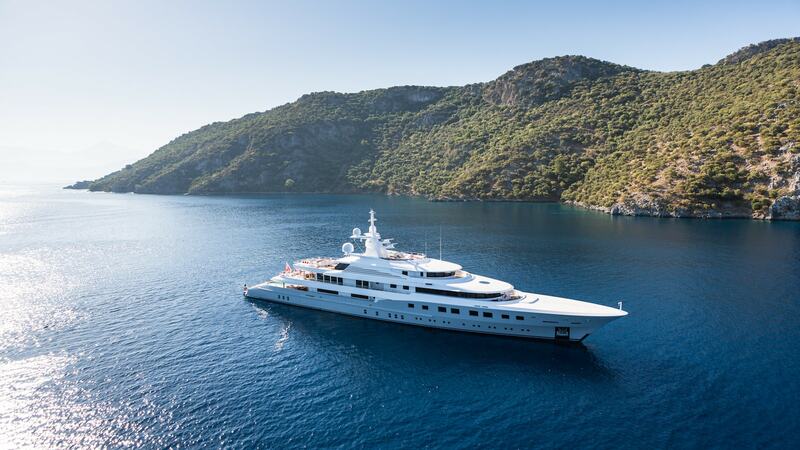 Axioma accommodates twelve guests in six luxurious cabins and has a crew of twenty. Diving equipment for 8 (with 16 tanks). Various brands, Including wetsuits 25+ all sizes, boots, gloves, watches etc. Enough for 8 plus back up.